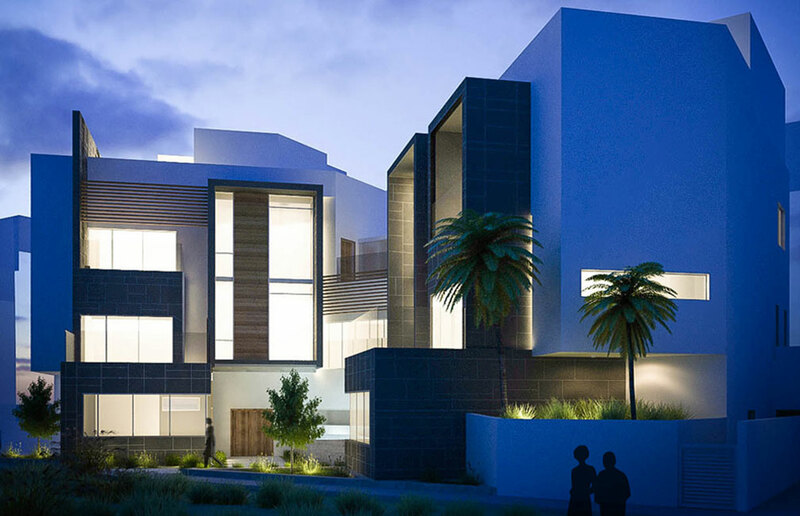 AlRuguba Family approached Signature Design in Kuwait in order to create a modern architectural solution for their everyday living requirements. The villa comprises of three individual units, each delivering on different requirements. We successfully capitalized on the sizable adjacent garden space, while provide a clear distinction between public and private areas. 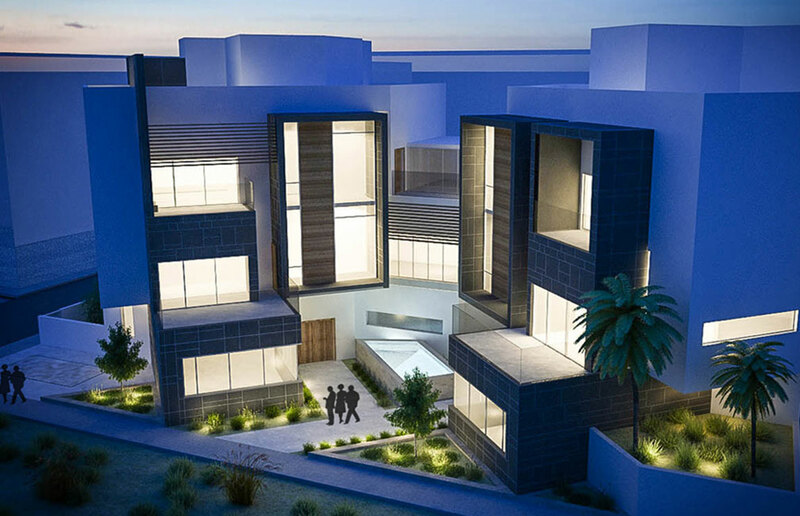 The central courtyard features a quaint pool, which double acts as a water feature to further enhance each unit’s entry experience, while the architectural language provides an always renewing visual effect. The basement delivers a plethora of services, including an automated car lift; cleverly eliminating the use of wasteful ramps.